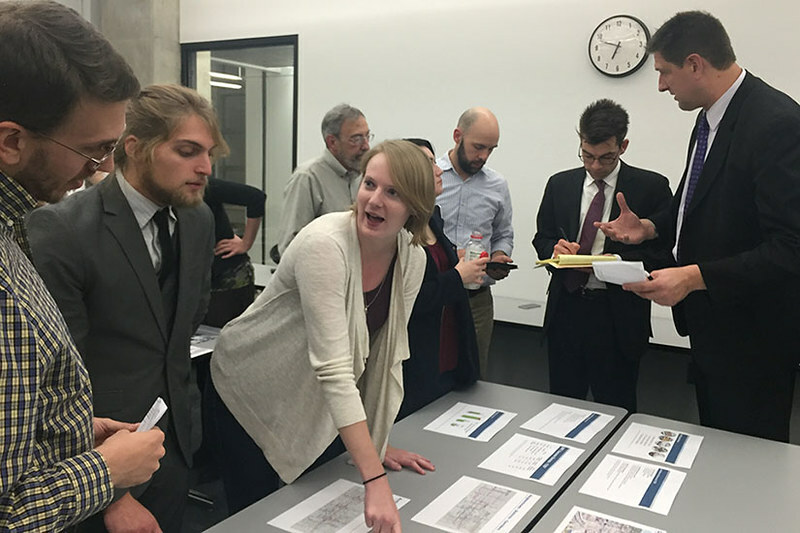 During the Fall 2015 semester, students in the SARUP Bus Rapid Transit Workshop Course developed a vision for bus rapid transit (BRT) in the Milwaukee region. 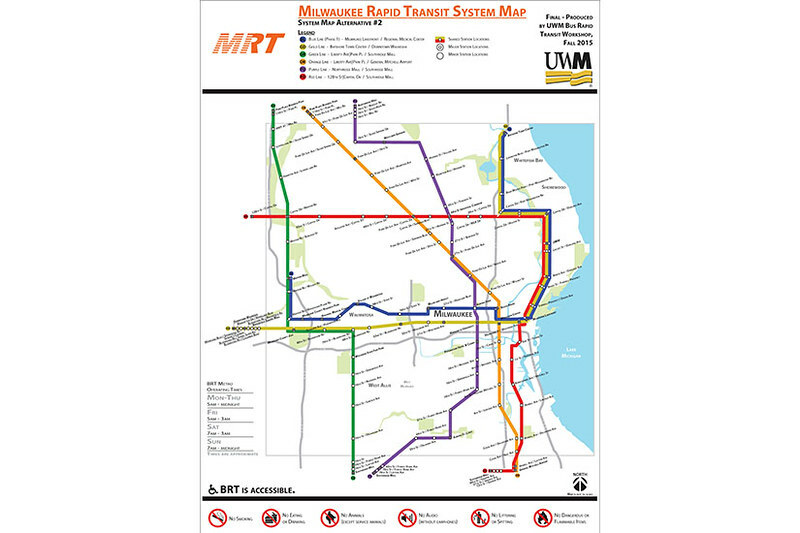 The 22 students created conceptual drawings of stations, dedicated bus lanes, interfaces with the Milwaukee Streetcar and local bus routes, and a system map—images that will help give Milwaukee area residents an understanding that BRT is a fast, attractive system that can provide excellent regional connectivity. 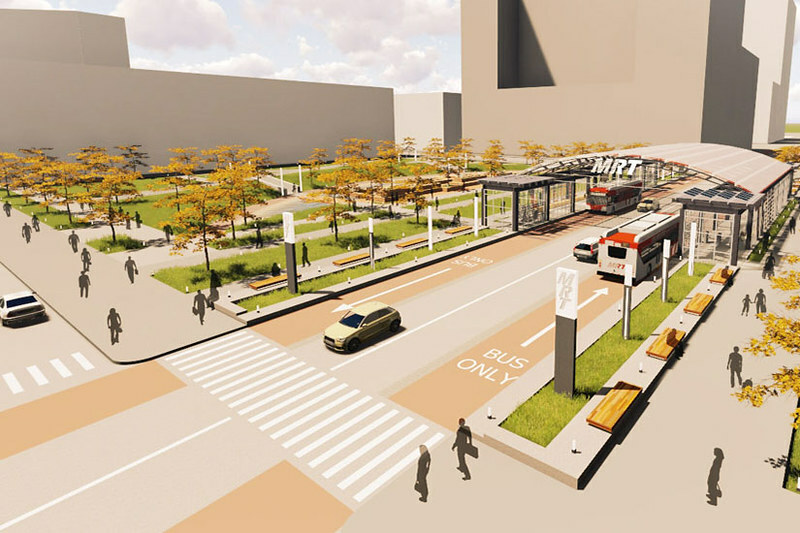 These graphics are supported by a detailed, technical report that presents potential benefits of BRT, estimated costs, and strategies to finance the system. The products from the course can complement current BRT initiatives being considered by local, regional, and state agencies. 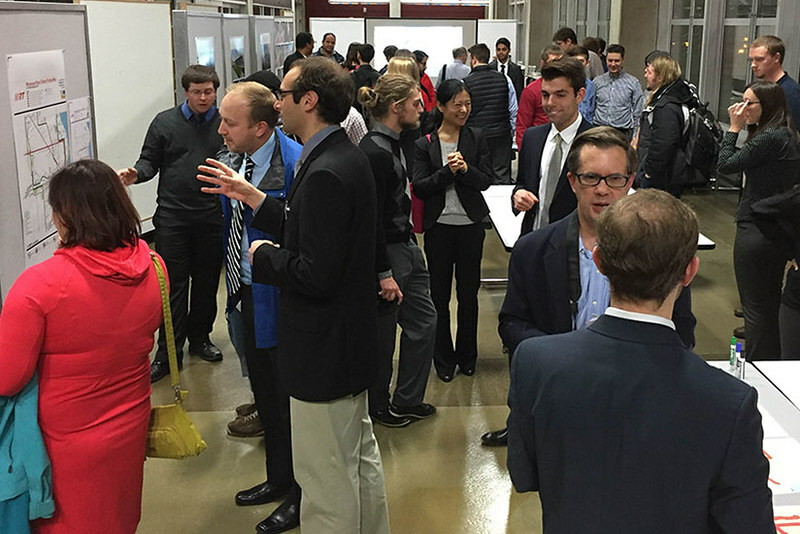 The course was taught by Urban Planning professors Dr. Ivy Hu and Dr. Robert Schneider. Over 15 weeks, students were introduced to subjects such as the history of local transit initiatives, recent national and international BRT projects, transit finance, transit equity, and technical aspects of transit planning, engineering, and design. Guidance throughout the semester was provided by guest speakers, including representatives of local, regional, and state agencies, non-profit organizations, consulting firms, and elected officials. Students shared their draft analysis and recommendations with 17 professionals in a Practitioner Workshop on November 23rd. They made revisions based on this feedback presented their final products in a Public Workshop on December 14th. We recognize that the ultimate decisions to develop a BRT system will be made by elected officials and agencies. In fact, we are excited that Milwaukee County, the Cities of Milwaukee and Wauwatosa, WisDOT, SEWRPC and others are already working to make BRT a reality. 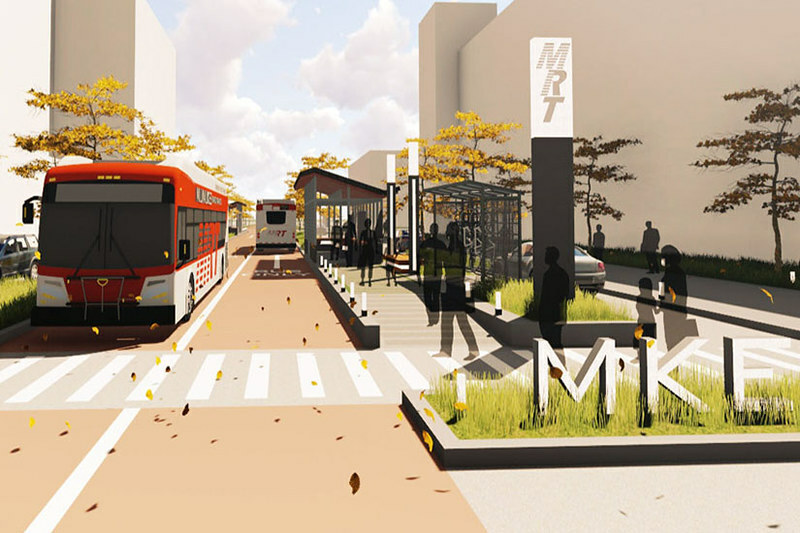 We hope that our ideas can help support these efforts and contribute to the public discussion around creating a high-quality rapid transit system that becomes a signature feature of the Milwaukee region.